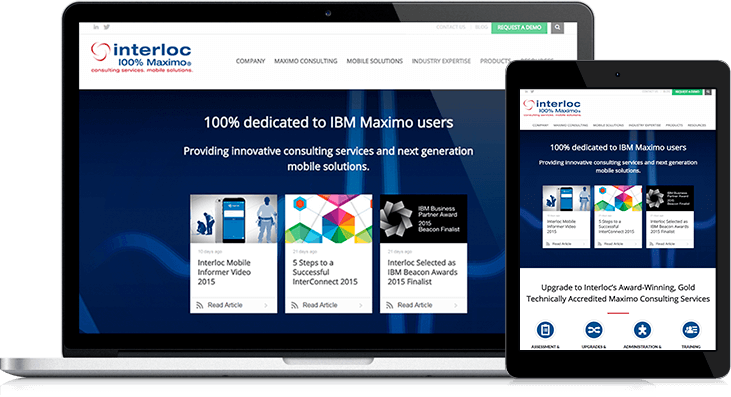 Interloc Solutions is an IBM Maximo Consulting and Services company. A trusted partner of the Maximo product, Interloc is focused on maximizing the investment clients make with their Maximo operations. In 2014, the team at Interloc Solutions was interested in updating their existing website with a modern, clean user experience. They needed a partner that knew the HubSpot platform well and could execute in time for their biggest conference of the year. The team at Interloc could not be happier to have a website that reflects their forward-thinking brand. With hands-on training and full documentation for the project, Interloc is able to keep their website up to date with fresh content.